This year’s World Music programme is delivered to the population of Gibraltar under the patronage of the Chief Minister. GWMF is proud and grateful to announce that this year’s Festival will be sponsored by the Government of Gibraltar, the Parasol Foundation, Kusuma Trust, JYSKE Bank, SG Hambros, Hyperion, Deloitte, Cuca Beer, Hassans, Gibtelecom, Margaux Philanthropy, EMID Gibraltar, Camara Municipal de Lisboa, Arquivo Municipal de Lisboa and Sunborn Gibraltar Hotel. GWMF 2016 will have also Spotify as a ‘streaming partner’ giving to the audience a new way to enjoy and live this unique musical experience. Thanks to GWMF’s partnership, Spotify users can browse all their playlists and also have the option to Follow Gibraltar World Music Festival profile (https://open.spotify.com/user/gwmfestival). - Carmen Souza: After the goodbye of the biggest Cape Verdean singer, Cesura Évora, Carmen Souza was named as one of the new generation singers to continue the successful path of the Cape Verdean music. Theo Pas’cal, her producer and mentor and one of the best bass players in Portugal, discovered her talent and introduced Carmen to Jazz and other contemporary sounds that markedly influenced her musical development. 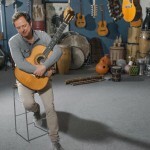 - Marcio Faraco: Brazilian music can be made anywhere in the world, and no one is better proof of this than musician and composer, Márcio Faraco. His melodies glide from samba to bossa nova, studded with inflections of jazz. Through his intimate words and rare poetic melancholy, Faraco has carved out a distinguished place for himself in the music world. Entirely lacking in cliché or affectation, his personal brand of Brazilian music is at once delicate and simple, primordial and refined, elegant and meticulous. Acclaimed by the critics and embraced by the public, this first solo album sold over 60,000 copies worldwide. The Ciranda tour played to enthusiastic audiences throughout Europe, the United States and Canada, and Faraco was definitively confirmed as one of the most creative and original composers of Brazilian popular music, otherwise known as MPB (Música popular brasileira).Although coming to the public’s attention relatively late, Faraco’s relationship with music began early. 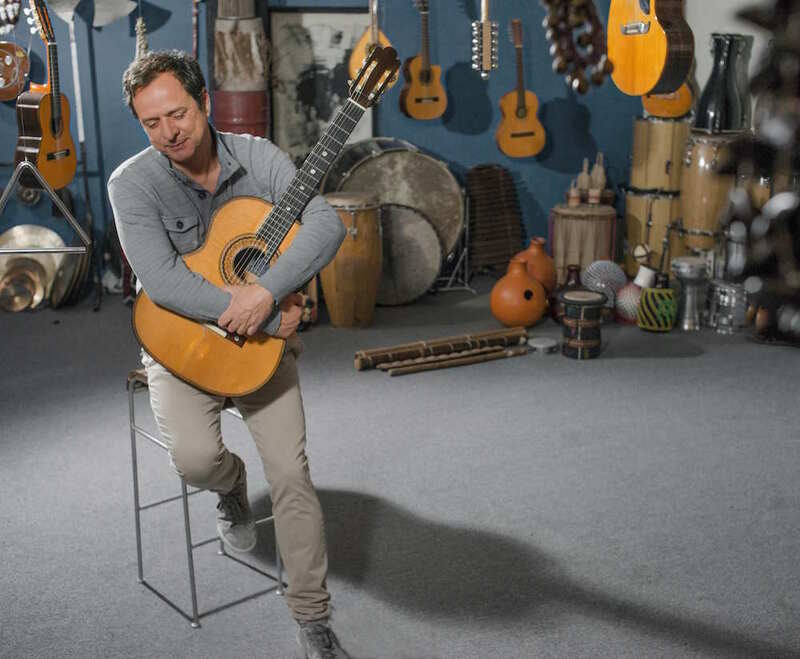 During his first years in Europe, Faraco earned his living playing from the extensive repertoire of Brazilian music, but he never gave up composing or the idea of one day releasing an album of his own songs in his own right. 2011 was also the year for the start of a solid international career that will take her to the main stage of Women (World Music Expo), in Denmark, and to several gigs in the United Kingdom, France (Théatre de la Ville), Netherlands, Mozambique and Spain. Singing “Perdoname” along with Pablo Alborán, Carminho became the first Portuguese artist to attain first position in Spanish music charts. She released in 2012 her second album, “ALMA”, which entered directly to the first place of Portuguese charts and achieved remarkable places in several international charts. 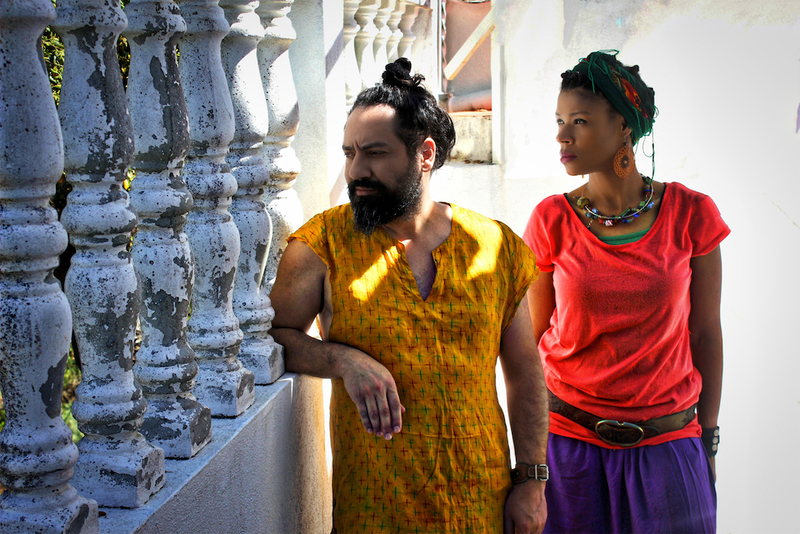 Already at the end of 2012, after accomplishing more than ninety shows in Portugal and worldwide, Carminho fulfilled her dream and recorded with Milton Nascimento, Chico Buarque and Nana Caymmi, which lead to reediting “Alma” with the three new songs. Tickets will be available at 92 Irish Town at £30 (General Public) and £25 (Senior Citizens and Students). Tickets prices will be inclusive of Shuttle Service to the Cave. The pick up will start at 19.00 from Coach Park. One of the aims of the Festival has always been to create a platform of involvement for the young generations. This year Gibraltar Productions has prepared an extensive program of activities for the students with the special support of Kusuma Trust: ‘Come to my home / Come to my school’. This is a scientific, cultural and artistic event initiated by Driss Alaoui Mdaghri, former minister and a very active figure in Moroccan civil society. The project will mix arts, cultures and nationalities. It is based on the principles of freedom, collaborative creativity, mixing and creative dialogue of cultures, the cardinal values of the World Cultures Foundation. The goal of this educational program is to create a cultural activity that benefits the students in Gibraltar, cultivate a love of reading and art, music and poetry and represent a valuable contribution to cultural animation of Gibraltar. Artists from Morocco, Senegal, France, Italy, USA, Spain, China, Japan, Mali, Burkina Fasso, India, Australia, Iran, Turkey, Estonia and Canada will participate in this activity organized in conjunction with the Department of Education and sponsored by Kusuma Trust. Gibraltar Productions is looking for senior volunteers to be part of GWMF 2016 production Team. Our ‘Senior Team’ upon successful applications will be part of following activities: Hospitality Management, VIP Coordination and Care and Front House and Backstage Management. Successful applicants will be an important part of the production team and will have access to all events of the Festival. They will also get a chance to meet all musicians attending the festival. Interested parties please call and/or write to 20068899 & info@gibraltarproductions.com in order to arrange interviews. Last but not least Gibraltar Productions is planning more events related to the Festival such as exhibitions, conferences, film projections and street parties during next few months. Watch the space for updates. For additional information, visit Gibraltar World Music Festival social media.